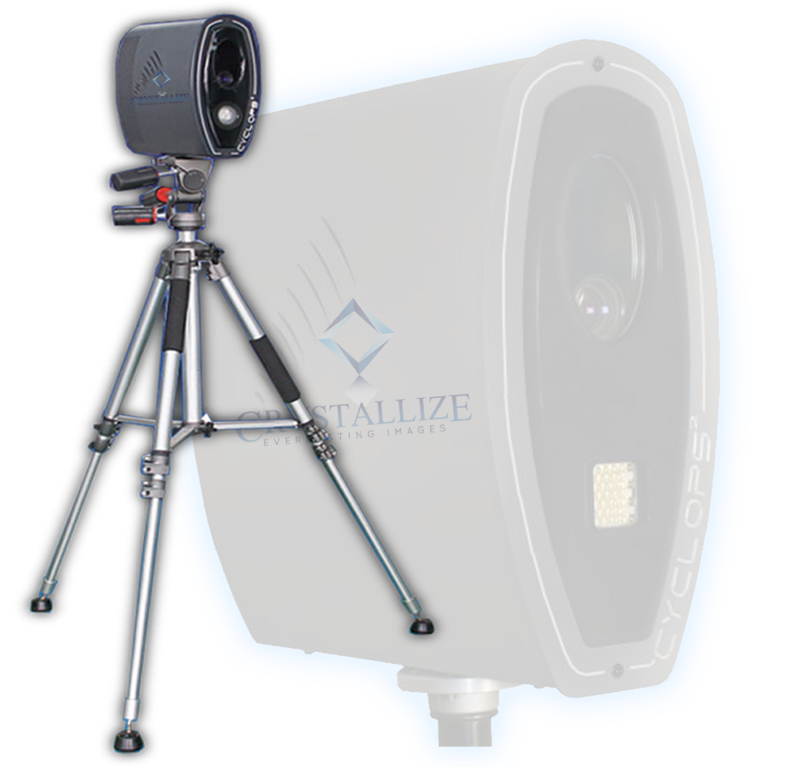 Crystallize creates amazing artifacts which use the latest laser technology to engrave high resolution images (up to 1200 dpi) into K9 optical crystal. A high energy laser is precisely focused on points within the crystal to create the image. The most popular crystals are commonly made up of around 250,000 tiny dots! These crystals are now manufactured in such an incredible and diverse range of shapes and sizes to satisfy any requirements for personal mementos and gifts, trophies and awards, promotional gifts… their potential uses are limited only by your imagination! Each is an objet d’art that lasts for more than a lifetime, nothing to fade, an heirloom for generations to come. 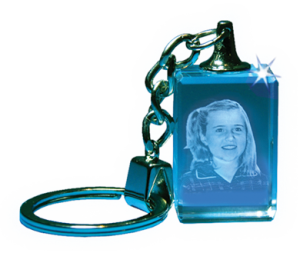 The range includes keyrings and jewellery. 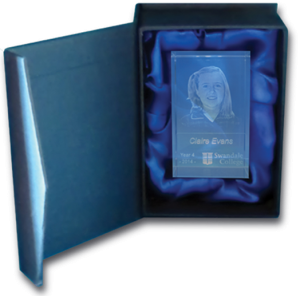 We use some very clever and complex software to convert 2D images into 3D images which enable us to take your favourite portraits or pet photos and create full 3D images of them which are then engraved into the crystal of your choice.  We also create 3D images from your 2D logo or from just about any 2D image, such as buildings, machinery, vehicles or people. 2D images engraved into these crystals are very popular. The image is engraved into the crystal in a series of layers each of which has different brightness and contrast settings. This creates ‘depth’ in the image and a sense of perspective. Does your child get their photo taken at school every year? If so, where are all those photos now? Many get put away and seldom see the light of day! We provide a school photographic service which offers parents a quality optical crystal with 3D engraved portrait of your child, together with their school logo and class details. This attractive crystal is an ornament you’ll want to exhibit and is a priceless record of a stage in your child’s development; it won’t fade with age and will ultimately become an heirloom for future generations. It is also a great gift for extended family members and friends. Our school photographic service also offers exciting opportunities to raise funds for your child’s school. Crystals engraved with iconic or other tourism images make excellent souvenirs for local and foreign tourists alike. These high-resolution images offer tourist facility and retail store operators profitable opportunities to provide quality souvenirs for your clients.